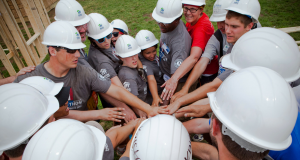 Without our amazing volunteers, Habitat Hillsborough wouldn’t exist. 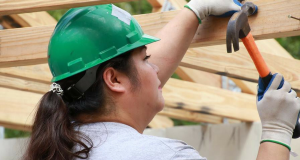 Every volunteer who walks onto a construction site, into our ReStores, or into a committee meeting, officially becomes a part of the Habitat Hillsborough family, working towards a community where everyone has a decent place to live. We are always accepting new volunteers! Whether you are volunteering as an individual, with coworkers, or to fulfill community service hours, we are thankful for your help and support to make the dream of homeownership a reality for so many in your community. Click the volunteer opportunities below for more information.